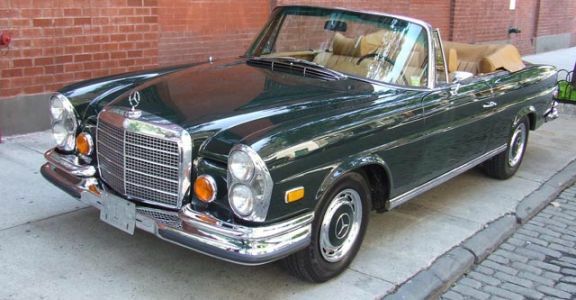 1971 Mercedes Benz 280 SE 3.5 Cabriolet. A stunningly beautiful example in green with beige leather and top. Fully documented car with 3 owners and only 58000 original miles. Visually beautiful and technically perfect.